Smartlipo Triplex is an amazing technology to achieve the results you’ve dreamed about. Call Atlanta Face & Body today for a Private Consultation. minimally invasive body contouring so popular are combined with these newer wavelengths for even more effective skin tightening. 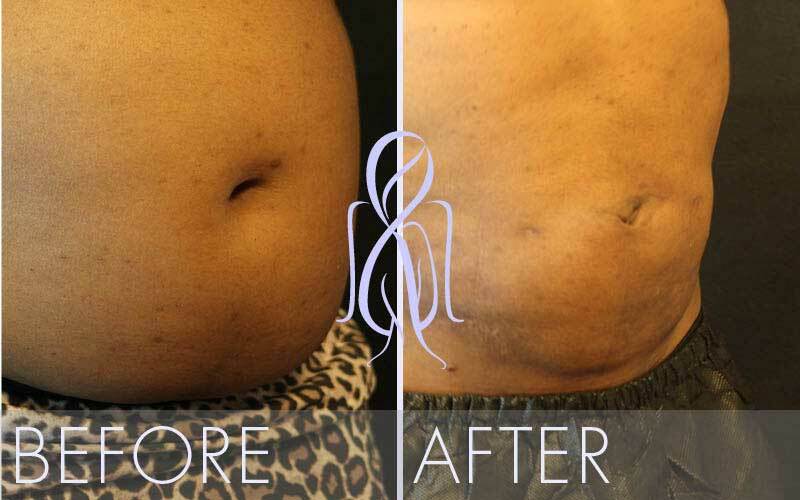 Like traditional liposuction, Smartlipo effectively removes fat cells. With Smartlipo, however, the cells are liquefied, which enables Dr. Elizabeth to more efficiently and less traumatically remove the fat cells. The patented Thermaguide system provides real time temperature readings to ensure the overlying skin is protected. Furthermore, Laser-assisted lipolysis systems create heat stimulated collagen production for smoother skin. The recovery period is diminished because Smartlipo is a minimally invasive procedure. Patients experience less pain and see results from their surgery more quickly with a reduced time to return to work compared to traditional liposuction. And, with the new Smartlipo Triplex the potential benefits are maximized for skin tightening and additional contouring results. High definition Smartlipo can also be performed to create that “six pack” look to the abs without spending hours at the gym!